Californians voted yes on that state’s Proposition 58, known as the Multilingual Education Act. Based on a measure proposed by State Sen. Ricardo Lara (D), the new law largely eliminates the red tape involved in creating a bilingual education program. The vote signals a major shift in thinking for a state that effectively outlawed bilingual education in 1998. The evolution in thinking on the value of bilingual education and the specifics of the voter proposition was covered in depth by The Hechinger Report in this story from our archives. SAN DIEGO, Calif. — Last spring, Derrick Fields, 9, sat in his social studies classroom at Sherman Elementary School, learning about the creation of the telegraph. The machine was invented so that “someone can connect to someone who is far away,” he said. This was pretty normal stuff for a fourth grade history lesson, except for one thing: The entire lesson — from the textbooks to the teacher’s instructions to the students’ short essays — was in Spanish. In fact, half of Derrick’s time is spent learning in Spanish and the other half in English in what’s known as a dual language immersion program. Teaching academic subjects in Spanish, or any foreign language, has been widely understood to be illegal in California since 1998. Proposition 227 appeared on the June ballot that year, offering voters a chance to weigh in on whether or not students should be taught primarily in English in public schools. While opponents saw the measure as racist, it was loudly championed by Ron Unz, a Silicon Valley millionaire with political aspirations, as the best way to integrate the state’s booming immigrant population. For the most part, that has been interpreted as: Don’t teach in Spanish. Most schools did away with their long-term bilingual programs, even though Prop 227 didn’t actually outlaw learning in a foreign language. It just made it much harder. But the parents at Derrick’s school were willing to sign annual parental waivers and school leaders were willing to pull together documentation that a dual language program would meet the “special needs” of their students and submit an application for such a program to the state. It’s “kinda weird” and “kinda” hard, to learn in two languages, said Derrick, who speaks English and some Spanish at home. But his parents wanted him to try the dual language program and he likes it “fine.” While other students were more enthusiastic about the dual language set-up at Sherman, they were all too young to understand exactly what their school represents. 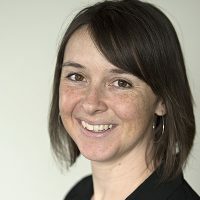 Programs like Sherman’s will be far easier to justify and create if voters decide to support Senate Bill 1174, known as the Multilingual Education Act, which will appear on the ballot this fall and would substantially revise Prop. 227. If the bill passes, kids like Derrick and his classmates — who are a mix of native Spanish speakers and native English speakers with family backgrounds ranging from African American to Hispanic to Middle Eastern — could be the new faces of bilingual education in the state. That prospect does not please everyone. On March 21, Unz announced his entry into the California senate race. The sole plank in his platform: Overturn the bill that could revise Prop 227. “The primary factor behind this sudden decision on my part was the current effort by the California Democrats and their (totally worthless) Republican allies to repeal my 1998 Prop. 227 ‘English for the Children’ initiative,” Unz wrote in the announcement published on his website, the Unz Review. Statewide however, experts say public opinion has begun to shift towards the idea that being multilingual could be an advantage. And though official numbers are hard to come by — California stopped tracking dual language programs in 2011 — the growing popularity of dual language immersion programs like the one at Derrick’s school indicates multilingualism is an advantage more and more parents wish their children to possess. 693 — Number of newly certified bilingual teachers in 2014-15. Moreover, a growing body of research now shows that high-quality dual language immersion programs benefit both native English speakers and English language learners. Since 22 percent of California’s students are English language learners and since they’re some of the lowest performing students in the state, such programs could provide a possible solution to an urgent problem. And yet, the state faces a major obstacle to significantly increasing the number of such programs available to students: a severe lack of teachers qualified for the work. While nearly 1.4 million children are classified as English Language Learners, only 693 new bilingual teachers were certified in the 2014-15 school year. That’s fewer than any year since 1994-95, when the state certified 835 bilingual teachers. Given the numbers, even if every teacher who has received a bilingual certification since 1994-95 was leading a bilingual classroom today (many are not), the state would have only one bilingual teacher for every 52 English language learners, or one for every 232 California students. That math isn’t perfect. Neither the California Department of Education nor the California Commission on Teacher Credentialing has a record of how many bilingually certified teachers are currently employed in the public schools. Nor is there a reliable record of bilingual certification rates prior to 1994-95. Still, the ratios provide a rough idea of how far away California is from having a robust supply of bilingual teachers. “If we’re going to commit to bilingualism and biliteracy in our state, we need to invest in new teachers for those programs,” said Pamela Spycher, a senior research associate at the California-based think tank WestEd. And such programs are becoming more common, even without legislative support. The Glendale Unified School District, just outside Los Angeles, now offers seven dual language immersion programs in languages as disparate as Vietnamese, Armenian and French. In Lakeside Union School District, inland of San Diego, the Riverview and Winter Garden elementary schools offer a trilingual program in English, Spanish and Mandarin. And the San Francisco Unified School District offers dual language education at 15 of its elementary and K-8 schools (nine in Spanish, three in Cantonese, two in Mandarin and one in Korean), nine of its middle schools and three of its high schools. Several of these programs are actively growing. Research that was not available when Prop 227 first passed now shows that the effort involved in offering such programs could have a big payoff. One study, out of Stanford University, found that it took children learning English in dual language programs longer to master the language than those who learned English in an English immersion program. 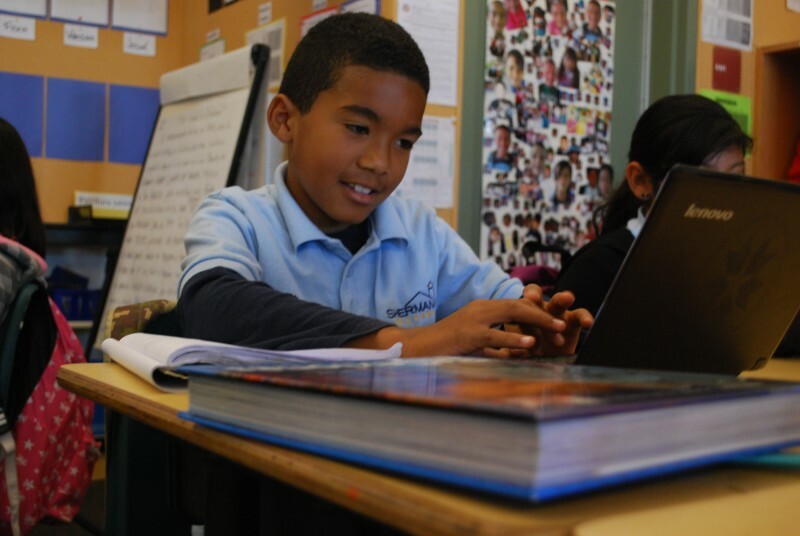 However, by the end of middle school, the students from the dual language immersion programs were doing better in English and earning higher grades in other subjects, while graduates of English immersion programs often reached a plateau in English and performed consistently worse in other subject areas. But the public school system in California has not caught up with such findings. English language learners as a group continue to perform worse than their English-fluent peers on every measure of academic success. On the 2015 state assessments only 5 percent of eighth grade English language learners met English standards for their grade level and none exceeded those standards. Statewide, 45 percent of students met or exceeded the eighth grade English standards. In math, merely 6 percent of English learner eighth graders met or exceed standards compared with 33 percent statewide. Scores for California fourth graders were similarly poor. Twelve percent of English language learners met or exceeded standards in English and 11 percent did so in math. Back in San Diego, Sherman students blew those numbers out of the water. Forty-nine percent of English language learner fourth graders at Sherman met or exceeded the English standards as measured on the 2015 Common Core-aligned tests. Overall, Sherman students, who are 84 percent low-income and 74 percent English learners, performed on par with their peers in the San Diego district, including English-fluent children. English language learners in third, fourth and fifth grade at Sherman did as well as (third grade) or better than (fourth and fifth grade) English language learners in the rest of the city on the English portion of the exam. That’s a common situation. Many bilingual teachers today grew up speaking Spanish, or another native language, at home, but spent the vast majority of their school years reading, speaking and writing in English. For most, earning their teaching degrees was no different. Nearly every teaching course offered in the Cal State system is taught in English. And early literacy courses focus on teaching children to read English. That can be a bit of a disaster when translated to a class on how to read in another language. Caballero and Perez-Duque met when Caballero was a fifth grade teacher at a bilingual charter school just outside San Diego called Chula Vista Learning Community Charter School. At the time, the staff was teaching reading using sight words, patterns, and other English-based strategies. When Perez-Duque arrived, he convinced the school’s leadership to shift to teaching Spanish using phonetics, the same way it’s taught in Spain. He also started teaching the teachers Spanish grammar. 1.4 million — Number of English language learner students in California in 2014-15 (22 percent of total student population). “The success came in the first year after the change,” Caballero said. The experience convinced him that teaching Spanish the Spanish way was the only way to ensure his students would the develop the strong early literacy skills he knew would benefit them — in both Spanish and English — later on. When he started Sherman’s program, in the face of some skepticism from the district, Caballero knew there was no room for failure. So he didn’t waste any time. He hired Perez-Duque and after school Spanish grammar sessions for teachers started immediately. In many cases, poorly trained teachers ended up with groups of English language learners who weren’t taught academic Spanish, weren’t taught math, history, or other subjects in Spanish and who never transitioned into the English classes in which such subjects were taught. Unz pointed to this state of affairs, which he said was unfair to the Spanish-speaking students, repeatedly during his 1998 campaign to eliminate bilingual education in the state. And despite the new requirements for bilingual certification, there is still some concern about whether California’s current certification standards are high enough to prepare teachers for success in the classroom. 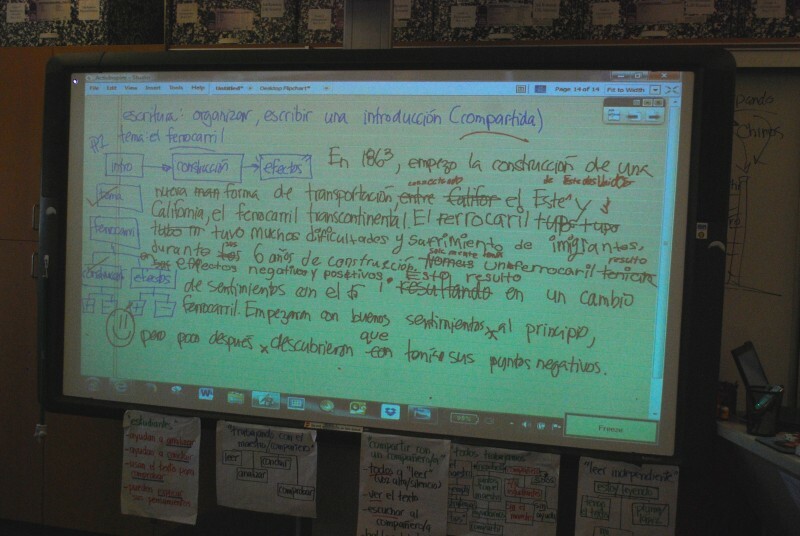 Though most aspiring bilingual teachers do take courses on how to teach English language learners, only a few schools offer such classes in Spanish. In part, that’s because it’s very difficult to find qualified university faculty. 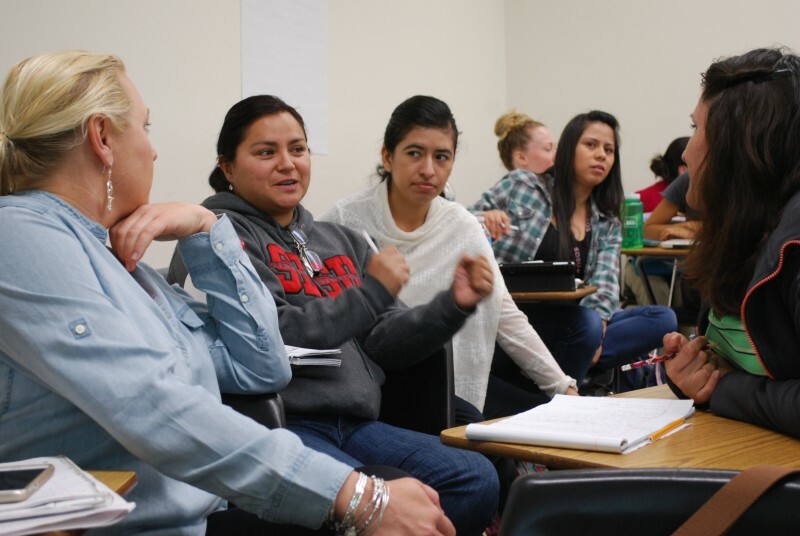 When Cristina Alfaro, chair of the San Diego State University Department of Dual Language and English Learner Education, conducted a faculty search a few years back, she had 20 applicants, only six of whom she felt met the basic job requirements. Of those, only two had both the language skills and the content knowledge she felt her prospective teachers needed. 61 percent — Portion of votes in favor of Prop 227, which made it very difficult to teach in a language other than English in California schools. It has been a fight to keep the program open, though. With budget cuts constantly threatening the California State University system, which prepares the majority of the state’s new bilingual teachers, and bilingual teaching rendered a risky field under Prop 227, such programs aren’t exactly university darlings, Alfaro said. Plus, the quality of bilingual prep programs varies greatly. The state has taken some steps towards creating policies that better address the needs of English language learners. Funding aimed at improving services for these students increased in 2013 for the first time in years under the state’s Local Control Funding Formula, which allocates districts extra money per English learner student. The California Department of Education also adopted new standards for English language development and wrote guidebooks for teachers, describing best practices for teaching English language learners. “We’re wasting a whole generation of potential there,” she said. Even without widespread support, many California students do graduate in full command of two languages. In 2015, 31,816 graduating seniors earned the State Seal of Biliteracy, which was adopted in 2011 and requires students to prove a thorough command of writing, speaking and understanding a second language at a 12th grade academic level. Spycher and others think there should be incentives offered to such students to convince them to pursue a career in teaching. California faces a statewide teacher shortage, not just a bilingual teacher shortage. And many of the challenges to hiring and keeping great people in these jobs are the same: low pay, high turnover, large classes and needy students from struggling families. But bilingual teaching is a particularly demanding version of the job. Bilingual teachers often end up with the (usually unpaid) extra duty of translator when other teachers or school administrators want to meet with students’ families. And for those teaching in a foreign language as part of a dual language program, the extra work that comes with planning lessons for a wide range of language abilities can be significant. On top of the extra responsibilities, bilingual teachers also have to overcome decades of prejudice against foreign language speakers, said Alfaro, who remembers being made to wear donkey ears at age five when she came to kindergarten speaking only Spanish. As an adult, Alfaro sought out her former teacher to ask why she’d been put through such a humiliating experience. “I really believed the only way children in this community could be successful was if they learned their English and forgot their Spanish,” Alfaro said the teacher told her. At Chula Vista Learning Community Charter, a dual language K-12 school near the Mexican border, that idea is anathema to both teachers and students. Here, speaking multiple languages is prized. In addition to Spanish and English, students can also take classes in Mandarin. Jazmin Rodriguez, a junior, said learning multiple languages allows her to read literature from other cultures. Victor Gomez, a senior, said speaking three languages (Spanish, English and now Mandarin) makes him feel he’s going to have a real advantage in the job market. And several students pointed out, proudly, that it is far harder to learn two languages well than to just learn one. To achieve any of these benefits for more of its students, California educators must first find a way to better train far more bilingual teachers. And if the ballot measure revising Prop 227 passes in November, they’d better do it fast.